Welcome to Hally's Custom Hats! Order Your Custom Cowboy Hat Today! With 25+ years of experience, Hally has her own hat shop in Arizona. If you're looking for a new custom cowboy hat fitted just for you, then you've come to the right place. Hally makes custom cowboy hats from scratch with you in mind. Hally can make anything from 7x to 200x cowboy hats. Shaping, blocking, and cleaning services are always available as well. Browse through a variety of different custom cowboy hat styles we have available. If you don't see what you're looking for, just contact Hally. Hally can build you pretty much any type of hat you wish. Blocking, Shaping, and Cleaning services are always available here at Hally's Custom Hats. Also, learn about our Cowboy Hat Drop Off. Take a look at our competitive price list. Here at Hally's Custom Hats you can afford the custom cowboy hat you've always wanted. See how Hally makes your custom cowboy hat from start to finish. She also will show you how she cleans and restores dirty cowboy hats. 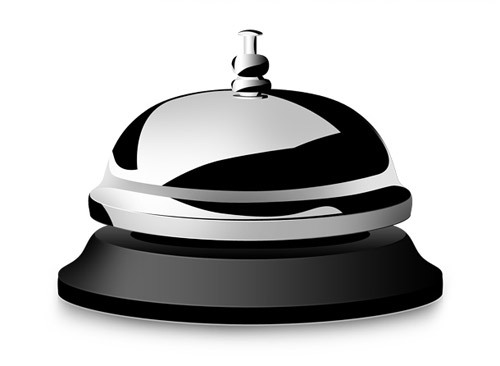 See what our clients have to say about Hally's Custom Hats. Have questions about custom cowboy hats, like what is the difference between 20x and 100x? Hally's F.A.Q. page most likely has your answer. 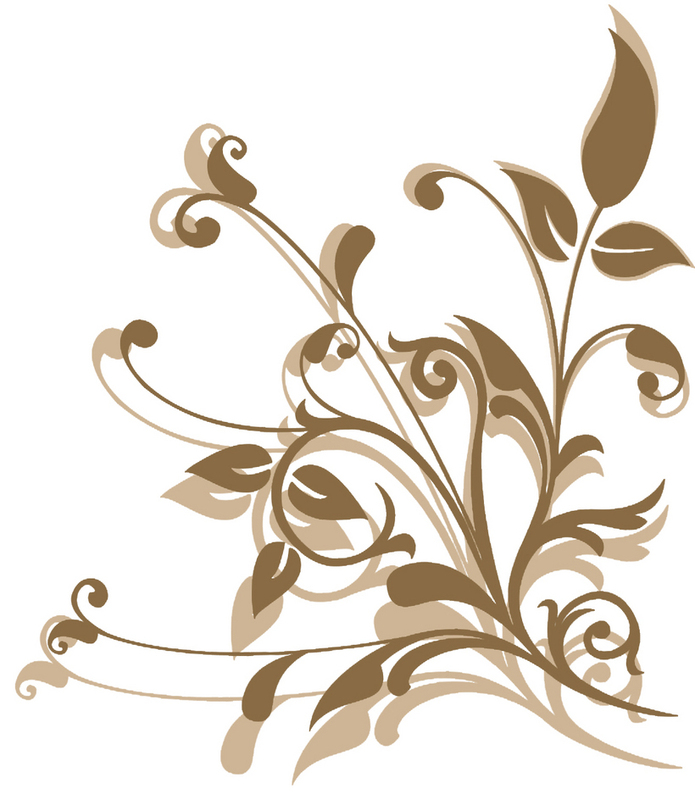 Get to know some of Hally's friends and be sure to visit their websites. 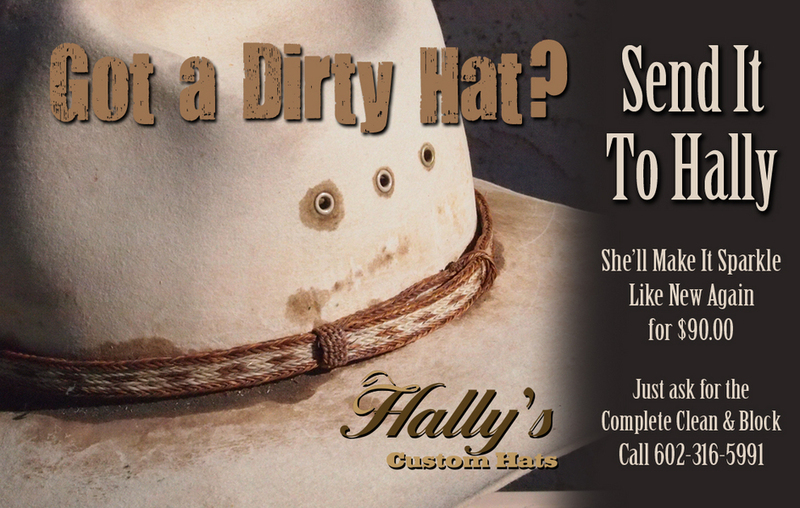 If you need to order a custom cowboy hat, get your cowboy hat cleaned, or have any questions, then give Hally a call. 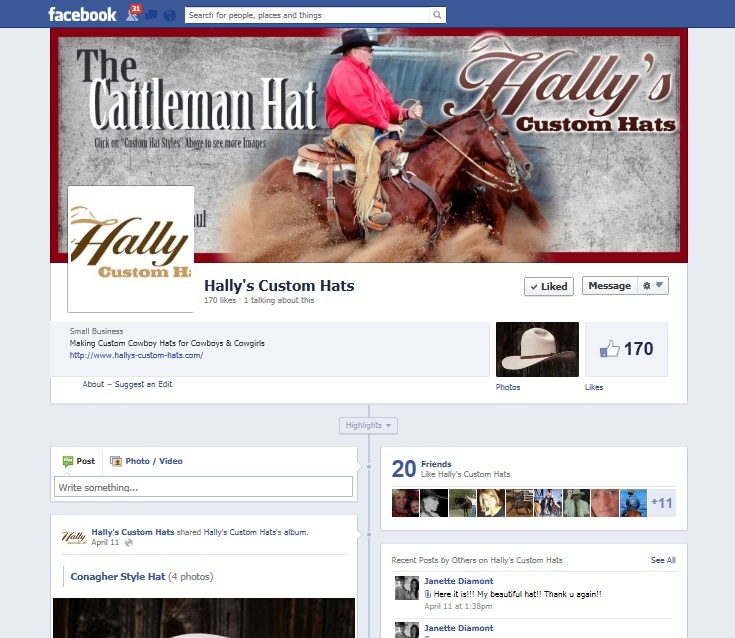 Stay up to date on new custom cowboy hat styles, news, and hat specials with Hally's Custom Hats! Come see our videos on Hally's Custom Hats Youtube channel. 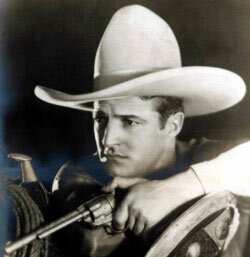 Take a moment to learn how the western cowboy hat came to be and it's roll in American History.